The Curious Wavefunction: Who's the world's greatest living chemist? You can't judge people this way. Values are vectors not scalars. That's why people can be both good and bad at the same time. A simple scalar, a single number, can never capture all (or enough) of what it is to be a human being. On my website www.robert-w-jones.com, under "Book", see the second chapter in my book Twelve Papers. That is a wonderful list of living great chemists. I am not a fan of selecting the ‘greatest’ in any single category but I love lists like this. That said I would not disagree with your choice for the greatest. Since chemistry is largely ignored by science writers I was unaware of the non-Nobel winners you listed. I especially enjoyed reading about Djerassi and his remarkable exodus to the US during the war. Sure it is not as harrowing as Hoffmann’s experience but he and his mom were lucky to get out of Austria. By the way, do you know why Hoffmann gave up is birth name of Roald Safran? Anyway, thanks Ash for this list that took me on a brief but very entertaining journey. I am actually not aware of why Hoffmann changed his name! Although I am in no position to give one name to be "the greatest", I think Karl Wieghardt is definitely among the greatest. I like your top 5. To the list of contenders, I'd like to add Dave Evans (who has had a profound influence on how organic chemistry is taught) and Dudley Herschbach. 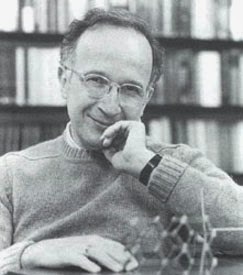 Richard Silverman deserves a mention for his mechanistic work, the discovery of Lyrica, and other projects that also seem to be progressing very well.